Superfoods are one of the most nutrient-rich foods on the planet. They supercharge your body with antioxidants boosting the immune system and helping to produce glowing skin. But working these superfoods into your diet can seem overwhelming. Where do you start? 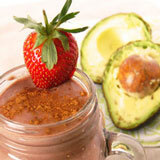 One of the easiest ways is with a superfood smoothie. It’s not that hard to add a spoonful of this and a spoonful of that into your morning smoothie. Adding superfoods will give your smoothie a nutritional boost that will rocket it into the stratosphere, raising the levels of antioxidants, vitamins and other nutrients. Most of us don’t get anywhere near the amount of vitamins and minerals that we need daily. Our reliance on processed foods and quick and easy fast foods, coupled with factory farming methods have robbed our diets of many essential nutrients. A superfood smoothie is such an easy way to remedy that. Just one glass a day can deliver a huge nutritional bonus. 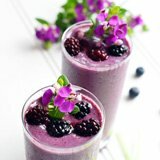 Smoothies are one of the easiest ways of getting those superfoods. Adding one or two tablespoons of ground powder to a drink takes no effort but delivers great rewards. 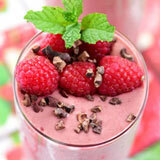 Most have a pleasant taste, but when blended with other ingredients, particularly fruit, they are barely noticeable. They are relatively cost effective. Yes there is the initial purchase cost, but you are only adding one spoonful at a time. A true superfood, I believe, is one that is much more nutrient dense than normal foods, is found naturally in nature and is plant-based. Even though they may come packaged, they are still classified as a whole food that has been cultivated without the addition of pesticides or chemicals. The following list of superfoods will blend easily into a smoothie. This list is by no means exhaustive, but these ones are the most well known, are readily available from health food stores or online, are not too expensive and deliver bang for buck in terms of nutrients per serving. I recommend using the freeze-dried powder. Acai berries have a mild berry flavor. Cacao is raw chocolate and has a bitter flavour so will need sweetening with fruit, honey or dates. Comes in two forms: cacao nibs or powder. Cacao nibs add texture, but the powder has a more distinctive chocolate flavor. Normally used as a powder, camu has a rather bitter taste, so use sparingly. We’re talking just a pinch. Chia seeds have virtually no taste. They add thickness rather than taste. 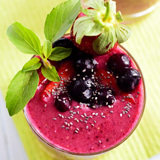 When adding to smoothies, either make a chia gel beforehand, or add dry chia seeds to your smoothie and leave to chill. The seeds will then work their thickening magic. 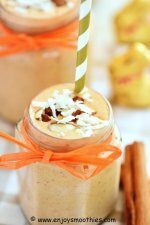 Flax seeds can be used as whole seeds or ground, but I would recommend using the ground form only in smoothies. You can grind the seeds yourself using a coffee grinder or buy them pre-ground. Like hemp seeds they also have a mild nutty flavour. 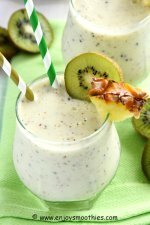 Flax seed can be added to any sweet smoothie. Goji berries are usually bought packaged as dried fruit. They have a sweet flavour with a mild tartness. This mild flavour means they blend well with most ingredients from fruits to vegetables, even chocolate. Hemp seeds have a nutty, creamy flavour that is similar to sunflower seeds. They don’t need to be ground first. 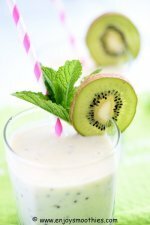 They can be added straight into your blender and will add creaminess and flavor to your smoothies. Typically sold in powder form, it has a strong, malty flavour. 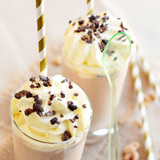 Because of its strong flavour, it is best blended with nuts or seeds, but also goes well with bananas and dates. Not to be confused with regular tea or green tea powder. It has a stronger taste than normal tea and benefits from being sweetened. It blends beautifully with bananas. Can be added either as juice or seeds. It is the little ruby-red seeds inside the fruit that are used. But only add the seeds if you have a high-powered blender otherwise you will end up with a chewy smoothie. Sesame seeds can be added raw or toasted. 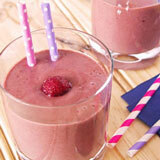 Toasting them will give any smoothie a flavour boost. 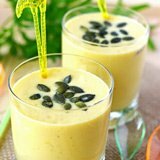 Sunflower seeds can be thrown into your blender as is or pre-soaked. Because they are small and fairly soft, they blend up easily. They have a distinct nutty flavour so use in small quantities. Buy them raw and already shelled to improve their nutritional value. So that you don’t become overwhelmed with choice I would suggest buying one or two to start. This is so you become accustomed to their use and taste and also because of the initial cost. This way you can gradually build up your supply and as you become more comfortable you can begin to experiment more.